(Polski) Śpij w Zieleńcu i jeździj za darmo! 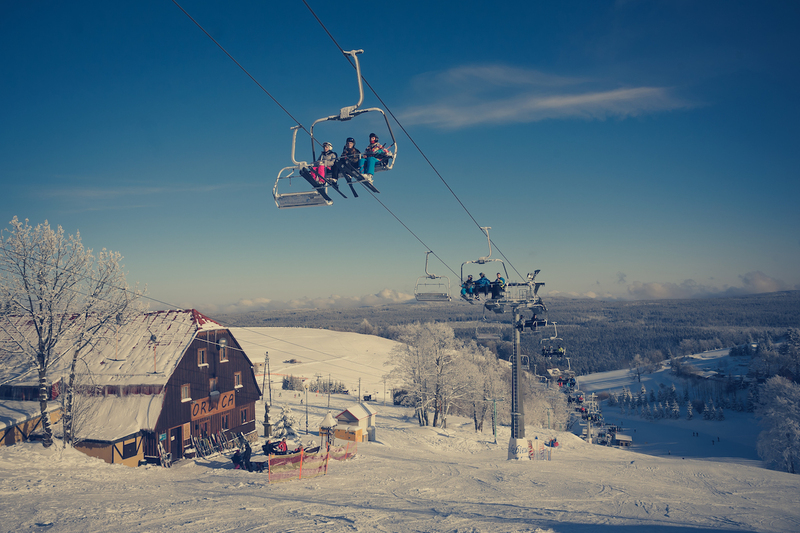 Would you like to be skiing for free in Zieleniec? It is possible! A bit longer stay during the low season gives you the possibility of availing of attractions of Zieleniec Ski Arena as much as you want, including, above all, the available at the resort slopes and lifts. Each person who stays at one of the below indicated guest houses obtains a free carnet. This will however be related to the number of nights of stay. Arrival to Zieleniec for 4 nights entitles to obtaining a carnet for 3 days, for 5 nights-to 4 days and similarly in relation to other options. Free Ski action is in place from the season start, with a break for the Christmas-New Year break and winter holidays. The carnets are valid between 09:00 and 16:00 and are designated for all open ski lifts at Zieleniec Ski Arena. Carnets obtained at the centres under the Free SKI promotion cannot be transferred onto third parties. Such carnet will be cancelled. The entity in which the stay is booked is responsible for the conduct of Free SKI action. The action involves the following guest houses.